The Treasure Lake Wildlife Committee monitors the deer population in the community with the deer management program, which allows hunters to harvest deer and protect the plant life of the community at the same time. Pictured here is Jordan Ell, one of the deer management program's youngest hunters. The Treasure Lake Wildlife Committee has had great success controlling the deer herd and giving residents and non-residents alike a chance to do some hunting with its deer management program, according to committee President Gene Pendolino. Pendolino said the program has been in place for 15 years. He said before the program was implemented there were approximately 100 deer per square mile and damage to plants in the community from such a large deer herd was significant. “That’s just too many. We had no regeneration of any kind of plants or trees because the deer ate all of the stump sprouts,” Pendolino said. Pendolino said that the program has helped significantly, noting since the last pellet survey two years ago, the deer herd was down to 26 deer per square mile. “The program is obviously working. It’s something you have to do consistently. 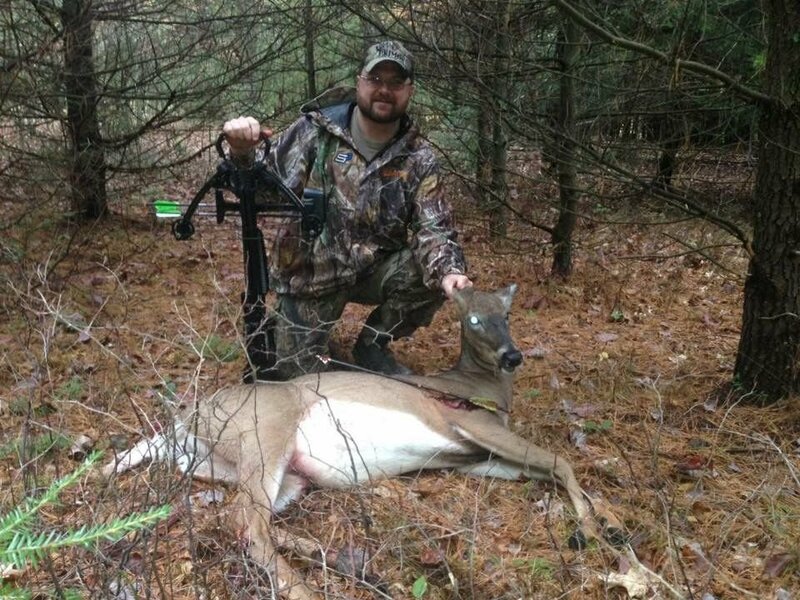 It’s something you have to do year after year because deer multiply very quickly,” He said. One of the reasons Pendolino gave for the program’s success is how unique it is. He said everything is carefully monitored and data is regularly collected to ensure the number of deer is at an acceptable level. “This program is really unique in the state. There are other municipalities and localities that have urban deer management, but the way we run ours is different. We monitor everything very heavily. We monitor the hunters and harvests and we keep track of the deer, too. PenState DuBois students volunteer their time to do a pellet count and brow survey to see what kind of progress we are making. That’s the most unique part of what we do. The program is something we all believe in and something we know has to be done,” Pendolino said. The primary tools the Treasure Lake Wildlife Committee uses to control the deer are two hunting seasons within the Treasure Lake community: an archery season and a flintlock/percussion season. Pendolino said the program started with two Pennsylvania Game Commission DMAP (Deer Management Assistance Program) areas where additional doe tags issued by the game commission can be filled. He said there are now four DMAP areas within Treasure Lake. He stressed that a hunter must harvest a doe before he or she harvests a buck in Treasure Lake. “What that does is it gives the hunters more opportunities to harvest deer. You are allowed two additional doe tags per DMAP area by law. Four DMAPs gives the guys who are successful more opportunities and it brings our deer numbers per square mile down because we can harvest a few more deer. We are getting close to our target numbers and that will allow our habitat to grow back,” Pendolino said. Pendolino said because Treasure Lake has more deer than public lands, the hunting is naturally better. He said while residents of Treasure Lake get first consideration for hunting privileges, non-residents are welcome to hunt as well. He said one of the overarching goals is to conduct the program without affecting the day to day lives of Treasure Lake residents. “One of our main objectives is to operate this hunt without affecting the resident population of Treasure Lake, we don’t want to impact the residents. Our guys are instructed to be invisible. When you harvest a deer it must be reported to the security department and that deer cannot be visible while it is in transport. Our regulations we have are far and above what the game commission’s rules are,” Pendolino said.